In Jackie Hildering's experience, marine species are often the first to bear the brunt of environmental problems and leatherbacks are no exception, as many are found with plastic in their stomachs. Hildering, a researcher with the Marine Education and Research Society, said many people in B.C. 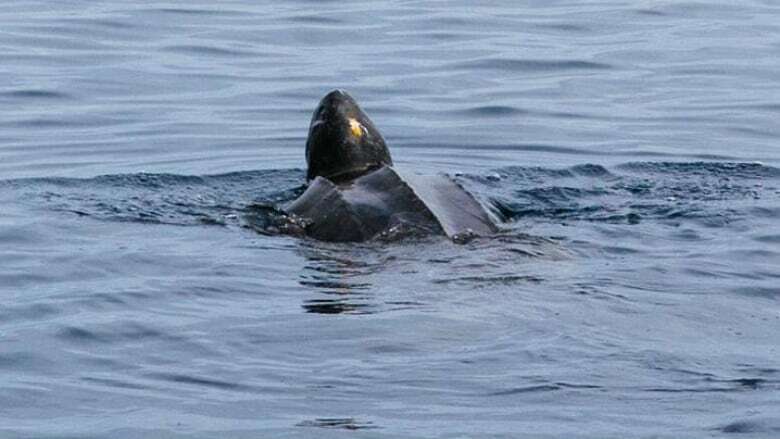 may not even know the species exists in local waters, but that even small actions such as releasing a balloon into the air without thinking about where it might land can have an impact on the turtles' survival. "One of the powerful things to realize is that they can't discern plastics and balloons from their jellyfish prey," she told Jason D'Souza, host of CBC's All Points West. A major challenge in tracking and restoring leatherback populations in B.C. 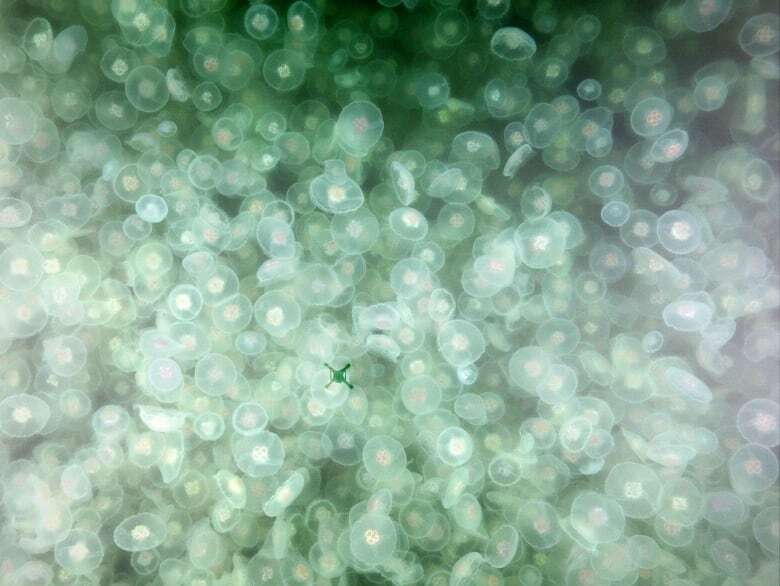 waters is first tracking their food source, the jellyfish, said Lisa Spaven, a scientist with the DFO's Pacific Biological Station. "We're still trying to get a handle on the currents and where the jellyfish are. There's a lot of work yet to be done," she said. "​I don't think they knew that I would fall off my chair when they sent the photos, I don't know that they knew they found the smallest needle in the biggest haystack," she said. Leatherbacks are "living dinosaurs" that "belong in B.C. waters," Hildering said, and their presence is a reminder of the wide variety of species B.C. coastal waters should support under optimal conditions. "It's a testament to how rich our waters are supposed to be." An earlier version of this story contained an incorrect figure for the size of leatherback turtles.